A crispy lettuce with an excellent taste, and very decorative. Contains plenty of vitamin C, calcium and iron. Produces heads early. 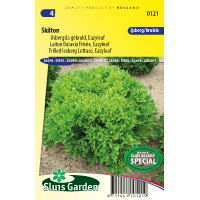 Can be cultivated over a long period and does not run to seed quickly. The heads keep longer when cooled, also when chopped. Sow as of February in a greenhouse and as of mid March can be sown directly in final spot in the garden. Thin out liberally and keep sufficiently moist in dry weather. 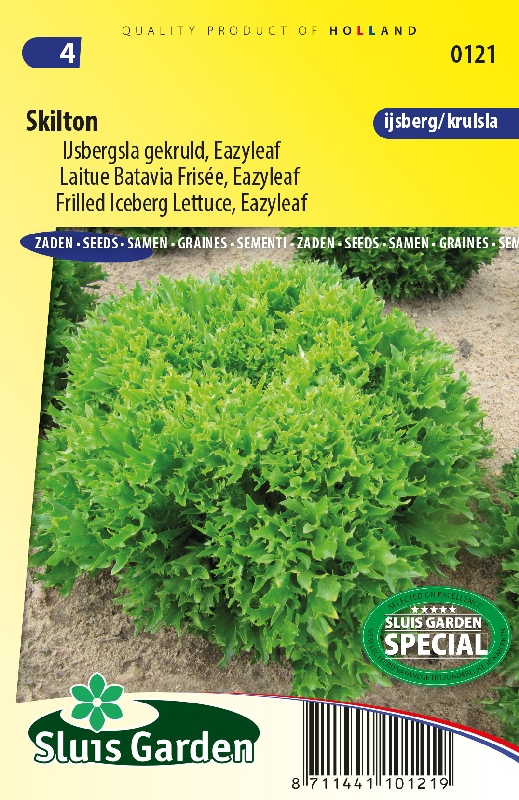 Lettuce can be sown in very cold weather (> 10°C).